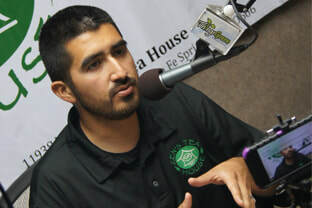 Founder & President of Zen’s Tea House, Fernando Lopez, hosts an online radio show to discuss the multiple aspects of health. Since 2012, the Zen’s Tea House team has sought to help educate the community about Natural Medicine and Holistic and Preventative Health Care. So long as there are over prescriptions and unhealthy living, the amount of medical physicians promoting teas and herbs, NUTRACEUTICALS, as medicine will increase. To better inform the community about this holistic health movement. Disclaimer: This show is not intended to diagnose, treat, cure, or prevent any disease BUT is for educational and entertainment purposes only. Show Members, affiliates, and 3rd parties do not reflect the values or believes of Zen’s Tea House or Adrenaline Radio (plus their affiliates) and do not act as an authority expressed nor implied. Please consult with your medical physicians before making any changes to your diet or lifestyle.